How do I convert my JIVE² into a Tandem pram? 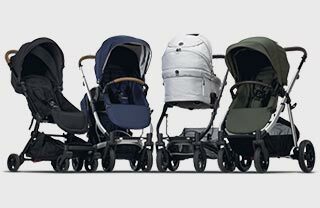 Is the JIVE² Pram suitable from birth/ for newborns? Up to what age will my child fit into the JIVE²? What is the weight limit of the JIVE² basket? What is the weight limit of the JIVE² Bassinet? What is the weight limit of the JIVE² main seat? What are the JIVE² dimensions? How much does the JIVE² weigh? What is the difference between the JIVE² and the METRO²? When should I move my child from the bassinet to the seat in my JIVE²? What are the Redsbaby Bounce dimensions and weights?